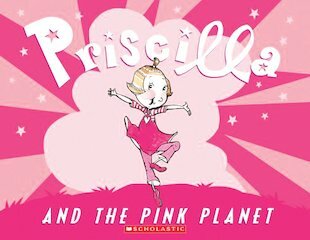 Priscilla lives on a planet where everything is pink. There’s pink to the left, and pink to the right – enough pink to give anybody a fright! Tired of the rosy landscape, she sets out on a remarkable journey to find another colour. Through pink meadows, rocks and swamps, she wanders – until a beautiful multi-coloured butterfly appears to guide her. But when the butterfly is captured by the Great Queen of Pink, who means to suppress all other colours, can Priscilla come up with a way to end her pink reign? A surreal and exciting picture book set in a dramatic pink landscape, told in lyrical rhyme which will captivate young readers.